Let experienced Fast and Detox expert Ilona Pantel-Ayal guide you through a full Fast or Detox programe to feel fresh, purified and cleansed in body and mind. These retreats are truly holistic, incorporating yoga, massage, reflexology, kneippism, guided walks in nature, visualisations and Ilona & team’s experienced, personalised care. 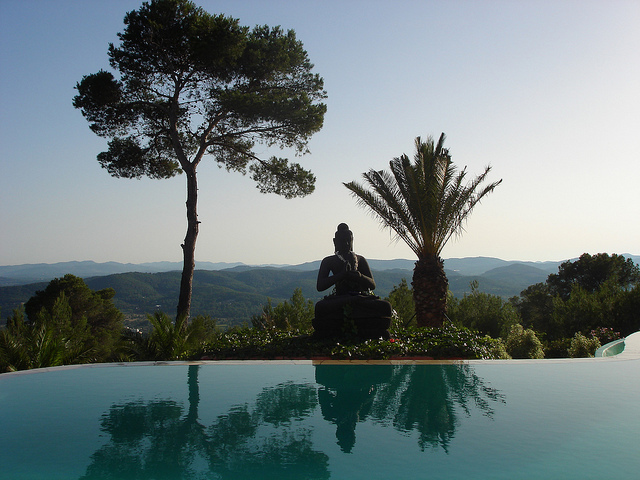 From €1195 all-inclusive in one of Ibiza’s most breath-taking retreat locations atop a mountain in the North of the island. The 7 day Dr. O Buchinger Fast is a tea-juice-broth-fast. The body is nourished with watered-down ecologically-produced fruit juices and vegetable broths, vitamins and mineral nutrients. In addition, 2-3 litres of mineral water are drunk per day to fully flush the system! The walks, yoga, massages and visualizations create a perfect space in your body and mind to heal on more levels then just the physical one. The goal is to enable and enhance your holistic health, as well as to enable changes at a cellular level that last. Dive into the deeper immersion of the fast or set your soul free with the 4 day Detox! Ilona and her team of experts hold your hand the whole way through guided visualisations, enemas, Kneippism, and the infamous Chi machine… Leave feeling incredible and light with a renewed appetite for life. View full details on the detox and fasting section of our website. Or ENQUIRE NOW about further dates and prices.